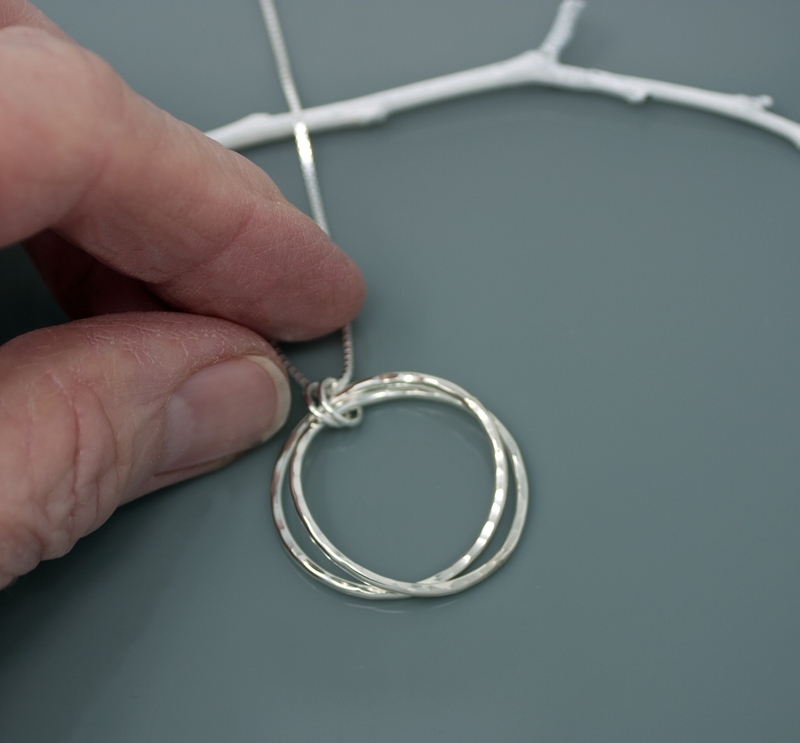 Entwined silver hoop pendant on a box chain. It has what I refer to as a "pringles warp", meaning it is shaped like a Pringles chip and not perfectly flat. 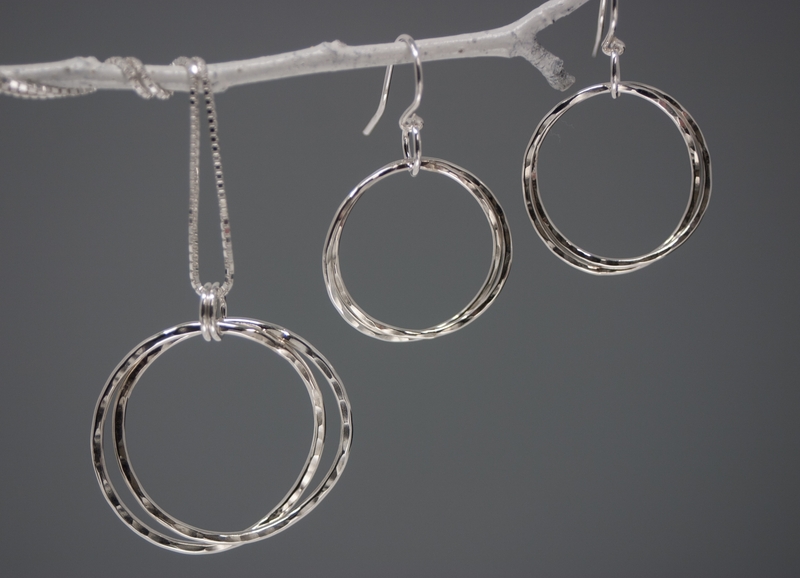 The rings are 1" in size and hang from a sterling box chain of your choice 16", 18" 20" or 24". If you would like to customize the number/size of the rings just contact me for a price quote. 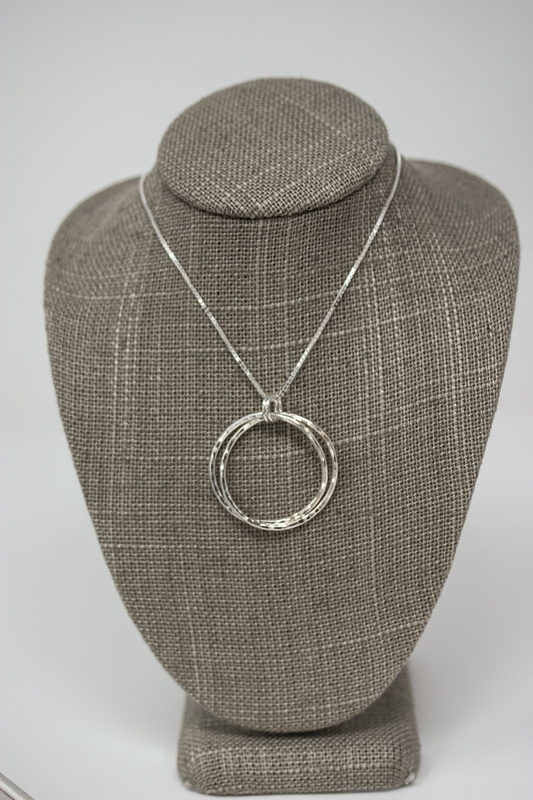 This will quickly become one of your fashion go to pieces, it's easy to wear with anything. 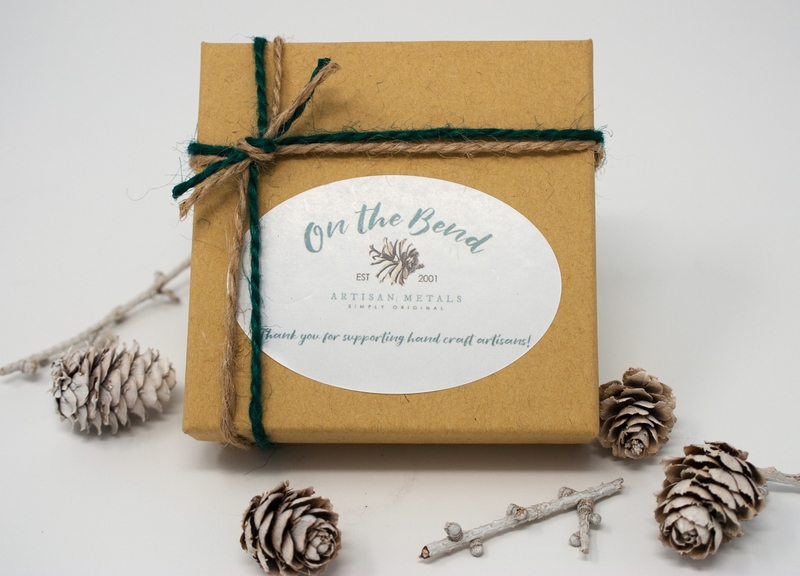 ** I use high quality, nickel free, refined (recycled) silver & copper that is sourced from an eco-friendly refinery in the U.S.